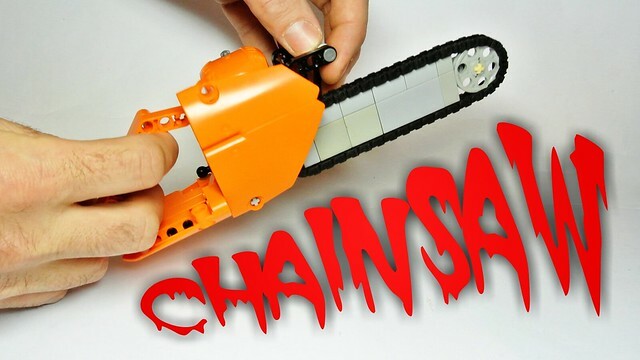 Lego Technic Chainsaw (MOC) | Flickr - Photo Sharing! Here you can see this tool in motion: youtu.be/u5leKabfOBc. Dedicated_Bricks, HaphazardPanda, and 73 other people added this photo to their favorites. Andrew Becraft It all started with engine - when I made a boxer engine for a chopper I realised that it could be a good start for a chainsaw. Excellent stuff. A well deserved blogging!!! sinan bitişik You still can do it, I believe you will find another solution. sinan bitişik It is very simple, but I recommend updated version. It is first time I have some of my creations on the brothersbrick. I will be glad for your support: ideas.lego.com/projects/89761.